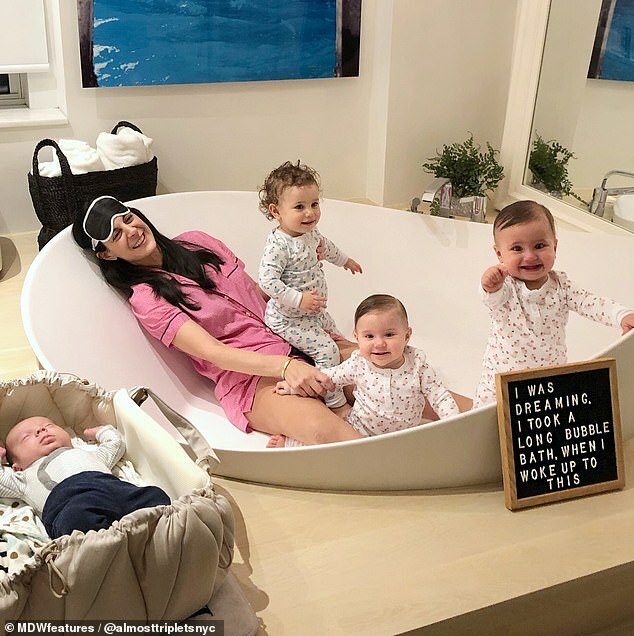 A stunning mother who underwent four rounds of IVF and enlisted a surrogate in a desperate attempt to conceive a second child ended up having four babies in just 13 months while she was in her forties. 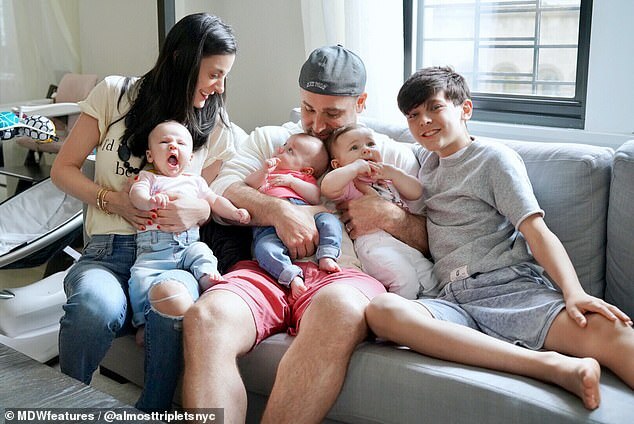 Managing director Tracy Park, 43, from New York, was 30 when she gave birth to her first child, Hunter, now 12, who was conceived naturally in October 2006; due to their busy careers, Tracy and her husband Peter, 42, were not in any rush to have another child. A decade later however, they both started to realize the clock was ticking and they were desperate to have another child to keep Hunter company, however, after trying for a year, they were told by their doctors that they couldn’t conceive naturally and that IVF was their only option. In 2016, they tried four times through IVF for a baby, but none were successful, she decided to try surrogacy, through an agency, to increase her chances. A few months later, she was delighted to discover that one of her IVF treatments worked and she was pregnant with her second child, Harlow, now 18 months, who was born in August 2017. 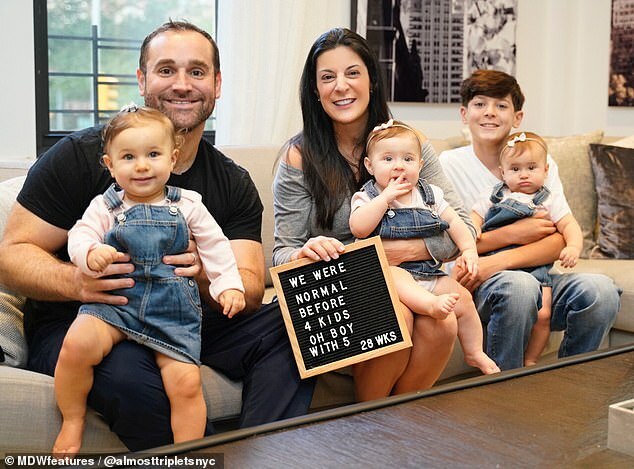 Meanwhile, her surrogate was also pregnant with not just one baby, but twins, which initially left Tracy and Peter overwhelmed, realizing they had to make room for their big family. 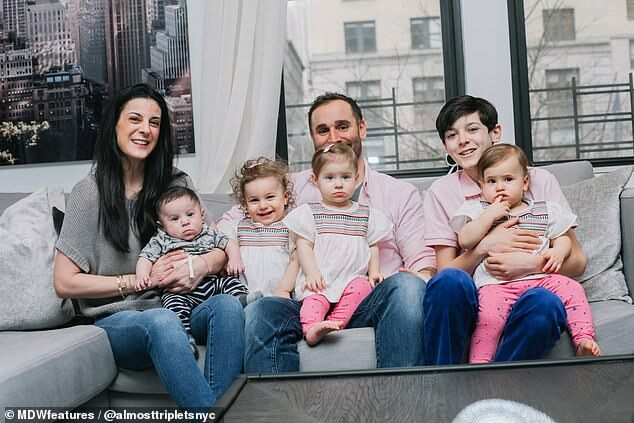 Her twins, Piper and Presley, now 14 months, were born in January 2018, and eight months later, once they moved into a larger house, Tracy discovered she was pregnant with a fifth child, Dylan, now six months old, who was born in September 2018. ‘I got pregnant easily at 30 with my first son, but at 40 it was much harder; I tried for a second child for a year then we decided to do IVF,’ Tracy said. ‘We were very focused on our careers; once we realized, we were both turning 40 and our clock was ticking we put things in motion. 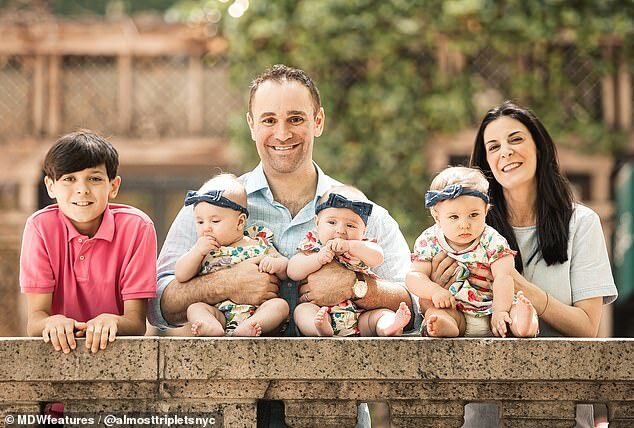 ‘We ended up doing IVF four times; we were not going to give up trying to have a baby. I always loved being a mom. ‘I work full time and had my son. Life was good but my husband and I desperately wanted another child. ‘It is an emotional roller coaster trying to get pregnant. When you do IVF, it is a month process then you wait for the results did it work. ‘You can only imagine the disappointment to learn that it did not take, and you have to do another month of shots, needles and giving blood. For me, insurance helped a lot with IVF because it was clear I needed it. 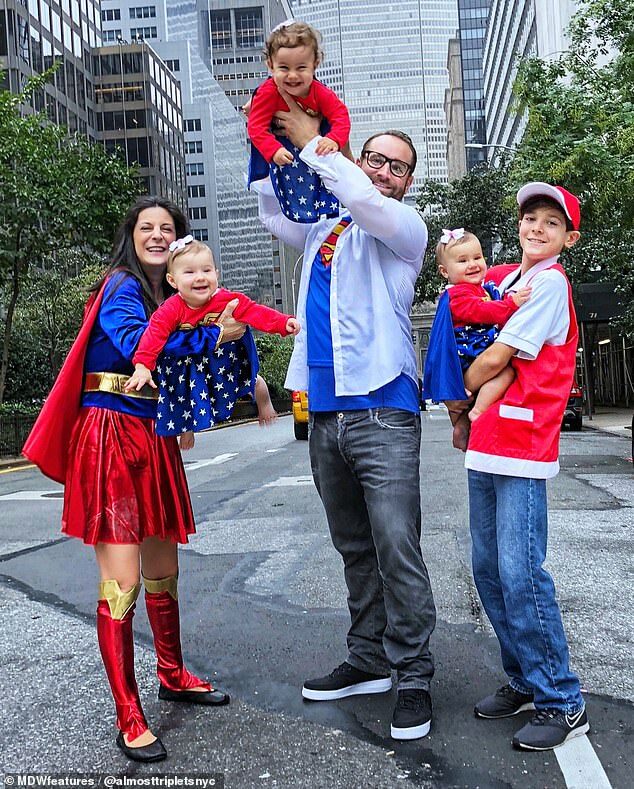 Four times of trying IVF worked for them and they ended up having four babies in 13 months. 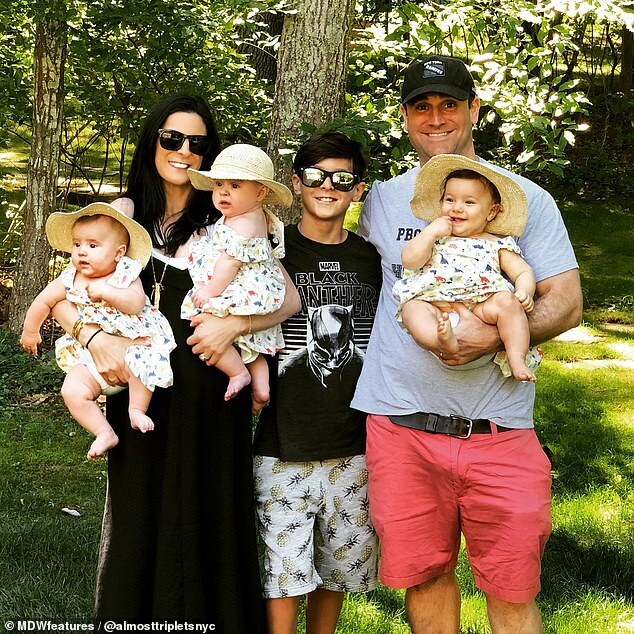 Tracy explains that while it felt overwhelming at first, she has loved being a mom-of-five. 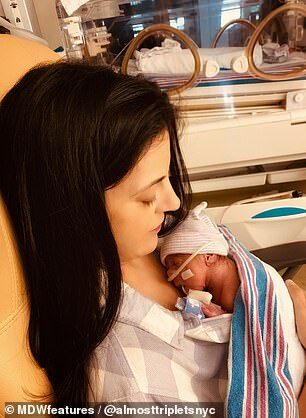 Her pregnancy with her youngest, ended up being difficult, as she had placenta accreta, a serious pregnancy condition that occurs when the placenta grows too deeply into the uterine wall, and needed a C-section. 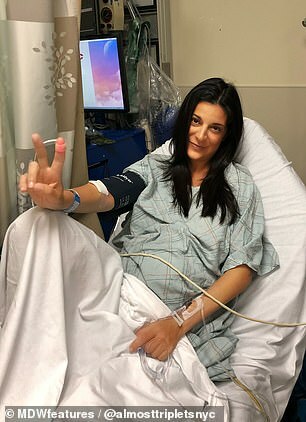 ‘My pregnancy ended up going full term, I hedged with a surrogate and she not only went full term, but she had twins then I had a surprise natural pregnancy,’ she said. ‘We were super excited. Our dreams were coming true. We were in shock with Dylan because I got pregnant on my own after using a surrogate and doing IVF. Also, we had four kids and three were babies under six months at home already. ‘We were thrilled but realized very quickly life has to change; now we were out of room. The week we found out we were having twins we started looking for a bigger apartment to fit all these kids. ‘My last pregnancy was very difficult; I had a condition call placenta accreta. I needed a C-section and a full hysterectomy at birth. 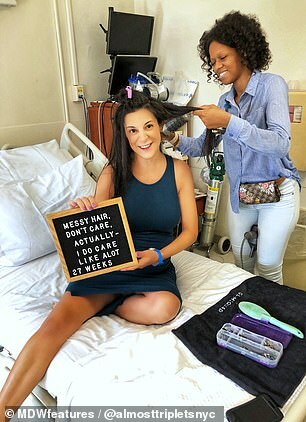 At the time, Tracy shared the family’s NICU story on Instagram, sharing photos of herself and her preemie baby with her followers in order to try and raise awareness about what it means to give birth to a child prematurely. 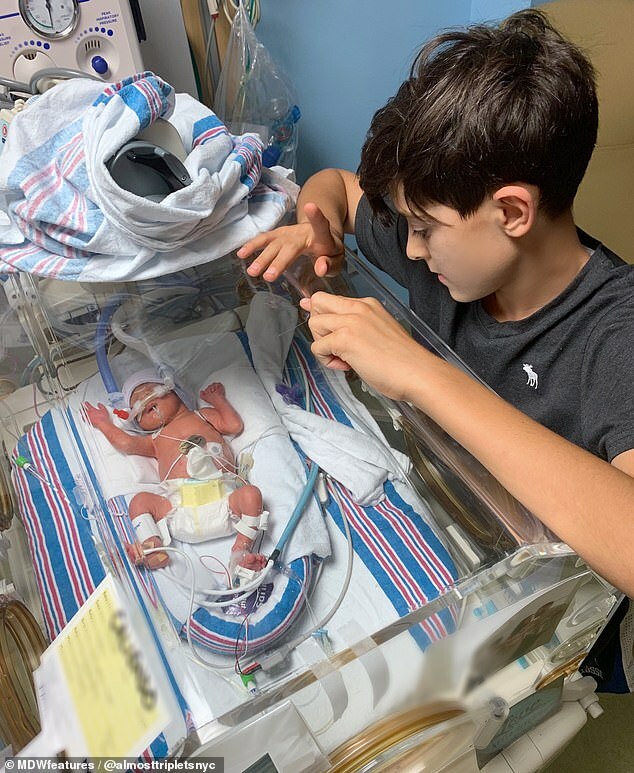 ‘It’s hard to explain the first time you see your child this small,’ she wrote alongside a photo of Dylan in an incubator. ‘The first half hour I cried because I feared so much for his life. 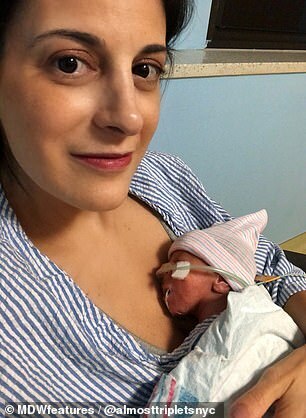 I quickly resolved to be strong for him, talking to him and telling him that everything is going to be OK.
And while Tracy and Peter confess that it can be overwhelming dealing with five children, they are thankful to have been able to expand their family and welcome as many babies as they did.